Another title just released by Intervision Pictures Corp. fairs a little better than Things in the fact it actually feels like a real film and not a series of random images that you would see from a food poisoning hallucination. The Secret Life: Jeffrey Dahmer is a little seen, low budget documentary from 1993 starring Carl Crew (who also wrote the screenplay) as one of the world's most infamous serial killers. The Secret Life: Jeffrey Dahmer follows the subject from the time he was young and used to disect road kill to the end of his murderous reign, when he was finally caught. In between, we see inside the mind of the killer and how a bad home life, alcohol abuse, self loathing and just a demented soul caused Dahmer to commit the unspeakable acts that he did. We see how he used to lure strange men and boys to his home with the promise of taking their picture for money and then drug them before torturing, killing and dismembering them. 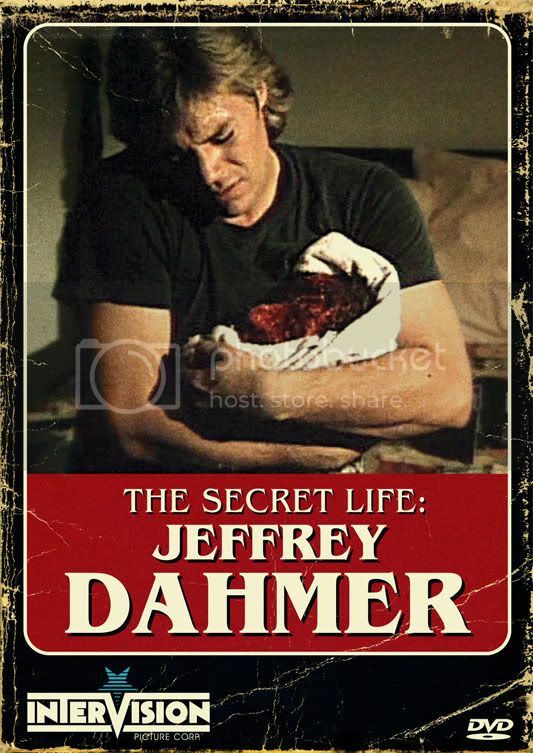 The Secret Life: Jeffrey Dahmer is a very well done and factual depiction of the homicidal cannibal. Crew does an impressive job as Dahmer, displaying how vile and sad he was and the situations with his victims more often than not have a very candid feel. The low budget film making style and dated fashions actually help the movie feel more authentic, especially considering it was made shortly after the killer was caught (and before he was murdered in jail). Some of the killings are pretty brutal and the make up FX are pretty realistic (for the most part). Intervision put out a nice disc here of an obscure film which comes with a trailer and commentary with director David R. Bowen and Carl Crew.